We understand that there is a lot of information out there and it can be difficult to know where to start. You’re here because the future of the Wasatch is important to you. The WBA is looking for volunteers to represent the organization at various community events. We often have a presence at events that will help to give WBA and its message greater exposure in the community. This usually entails staffing a table to answer questions, encourage conversations, sign up members, pass out stickers, and sell logo gear. If you are willing to participate, we ask that you commit to particular events and times to insure that they are properly staffed. This is a great opportunity to talk to people, spread the word about WBA, and engage them in thinking about the future of the Wasatch. Wasatch Backcountry Alliance maintains a regular presence at popular backcountry trailheads and in the backcountry, particularly with our Trail Counting Program and annual Free Shuttle Day Event. Winter volunteers will need to commit to be at a particular trailhead on scheduled days. The idea is that you will make contact with other winter users, talk about WBA, gather some user information, and pass out stickers. Typically trailhead shifts will only require a little more than an hour of your morning when most people start their tours. That means you can snag a good parking spot, get out for a full day in the backcountry, and give back to your community. If you are interested in contributing in either area of volunteering please send an email to: volunteers@wasatchbackcountryalliance.org. Send us your information and we will be in touch with more details. If email doesn’t work for you let us know your preferred method of communication. Sign up to be a member at the top of this page. It’s free and you’ll get email updates! Post a Stop Interconnect sign where people will see it. To request a sign, send an email to stopinterconnect@wasatchbackcountryalliance.org. A $5 minimum donation to cover sign costs is appreciated. Look cool for a good cause! WBA merchandise is an excellent way to display your support. We have t-shirts (sizes for men and women), trucker hats, neck buffs, outwear patches, and stickers. If you are interested in making a purchase, please send an email to info@wasatchbackcountryalliance.org. ONE Wasatch is still just a concept – it’s not a plan. 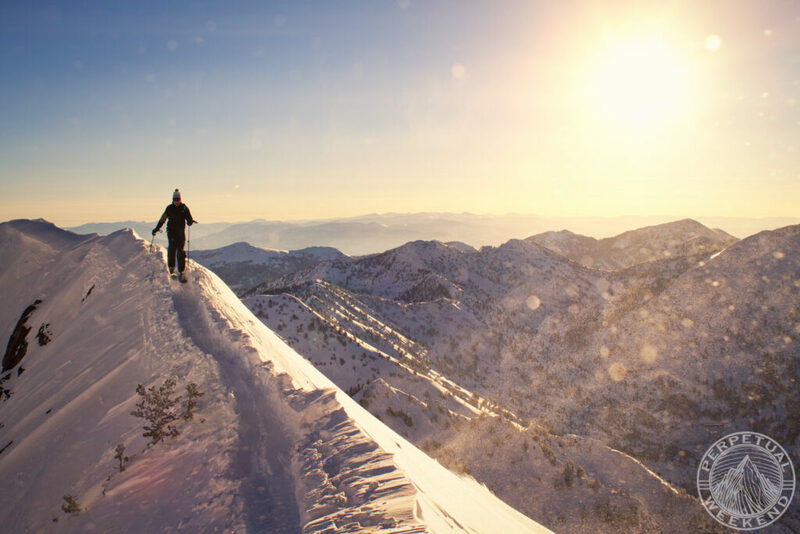 The Central Wasatch Commission in an interlocal governmental entity created to implement the Mountain Accord agreement and, as part of this effort, are pursuing legislation to establish the Central Wasatch Conservation and Recreation Area. Take a look at our maps: http://wasatchbackcountryalliance.org/resources/ to see how the balance has shifted between resorts and backcountry. Jim Harris of Perpetual Weekend captures the beauty and majesty of the Wasatch.